The story in this game is very basic and while enjoyable, I did find myself wanting a bit more depth as to why these robots were out of order to begin with. I also wouldn't mind knowing why the city was in the state that it was in and what the robots have to do with the city as well. The mystery behind everything does help build a dark and moist atmosphere but it still would've been nice to have some answers after completing the game. The gameplay takes the standard run, jump, and survive element from the traditional platformers but also adds some neat new ways to keep the genre feeling fresh. What's unique about the way this game plays is that you need to master using magnetic waves to help you get though the levels. There are two kind of waves with the first one being the blue wave and this type of wave will draw you into magnets of that color, so you'll be able to stick to surfaces. The other kind of wave is called an orange wave and this wave will propel you away from platforms of that same color and this is good for if you need to launch yourself around the stages. You will also find platforms and balls that will have both the blue and orange on them and they will let you use both the blue wave and the orange wave on them. Getting the hang of the magnetic system doesn't take that long but there are parts in this game that will require you to use it in interesting ways that will require some skillful maneuvering. 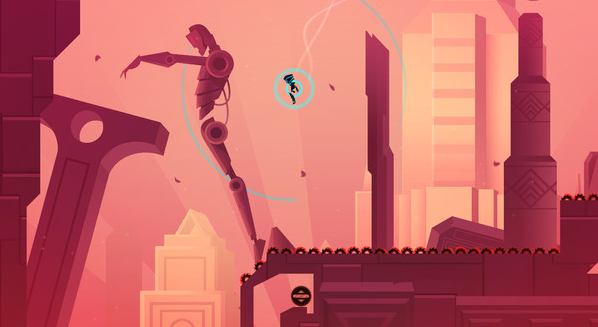 The way you use the magnetic system is quite diverse and this game will throw in interesting platform and item placements to make it feel like that you are getting something new with each level, that keeps the game feeling fresh up until the very end. The magnetic system was also very tight as the waves were very responsive and that also goes for the walking and jumping as well. The way the levels work in this game is that you start off on an over world to where you can run around freely and practice a little. In this over world you can find busted down robots to talk to and when you do talk to them you'll be taken to another world that is made up of smaller levels. When you have beaten all of the levels, the robot you are working on will be fixed, then you can move on to the next one, so on, so forth until the final world has been beaten. 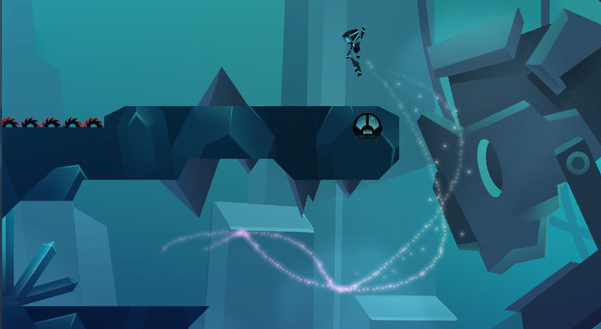 This game does add some more levels to beat once you have beaten the main game, so the game does not end once you have completed all of the main levels. The bonus levels are much harder than any of the levels you have faced before and will test everything that you have learned from playing this game. The level design is pretty good as they were all interesting and fun to explore. 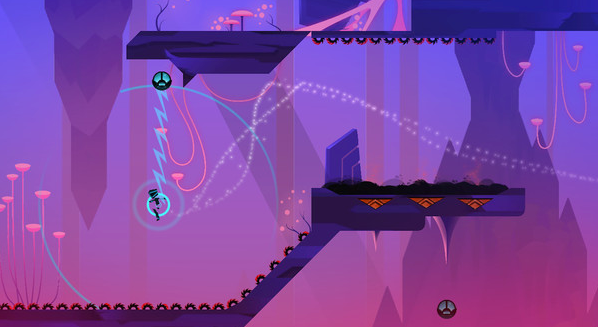 Each level also has collectibles that can be found and they require a strategy of their own for if you want to get them. 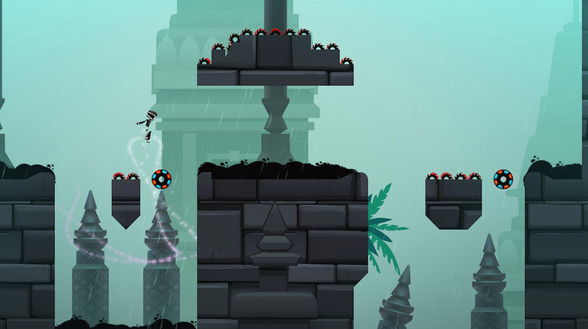 Some levels will have hidden portals that will warp you to secret levels, the secret portals can be quite tricky to find and I could only find a small portion of them, you will really have to look hard to spot some of them. The levels do have a good amount of replay value to them and you will be rewarded for best time and least number of deaths, so you'll be tempted to try and beat your scores. Difficulty of this game is as you'd expect it to be as it starts off easy and gets slightly more difficult with each oncoming levels. Some of the later levels will make you want to pull your hair out as they can get very frustrating to where it feels like that there is no way of beating them but do not give up as they are far from being impossible to beat. This game isn't very long and you can beat it in one single afternoon if you decide to power through the game but with the replay value, you'll be playing it for hours more after you have beaten the main story of the game. Graphics in this game are very clean but could be a little bit more detailed as it looks like a flash game that you can play on your web browser. I liked the character designs as I found the huge robots to be cool looking due to the size and how mechanical they look. I found the design for the main character to be a little weird, he doesn't look all that much like a robot but more if they took Mayor McCheese (of McDonalds fame) and threw him in a black and neon blue suit from Tron (1982). I liked the backgrounds in this game as I found them to be beautiful despite looking like that it came from a flash game. Animation in this game is smooth and I found no problem with it what so ever. Music in this game is very nice and helps build up an atmosphere as it suits the dark and rainy dystopian future very well. Overall, I found this game to be quite enjoyable and was one of the more unique platformers that I have played in the past twelve months. I do recommend you to go out and play this game, especially if you like platformers where you get to swing around and pretend to be Tarzan or Spiderman in the process. Fun Platformer.